RIBBON PAULIN CHAIR - BLUE - The Artifort Ribbon lounge chair is one of the most beautiful sculptural design chairs in our collection. 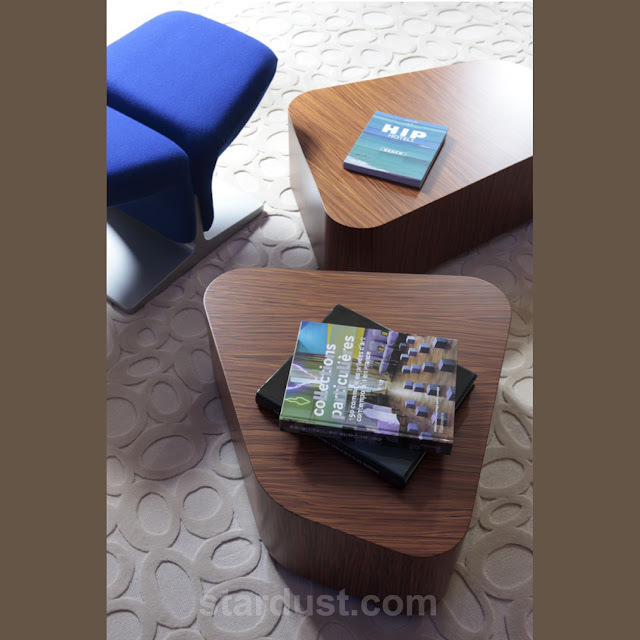 It is one of the essential classics in the history of modern furniture. The Ribbon chair was designed by Pierre Paulin for Artifort in the Netherlands in 1966. It is a beautiful example of applied art that complements any collection. The Ribbon chaise lounge chair is a clean, simple ergonomic space age form sculpted to fit the body. 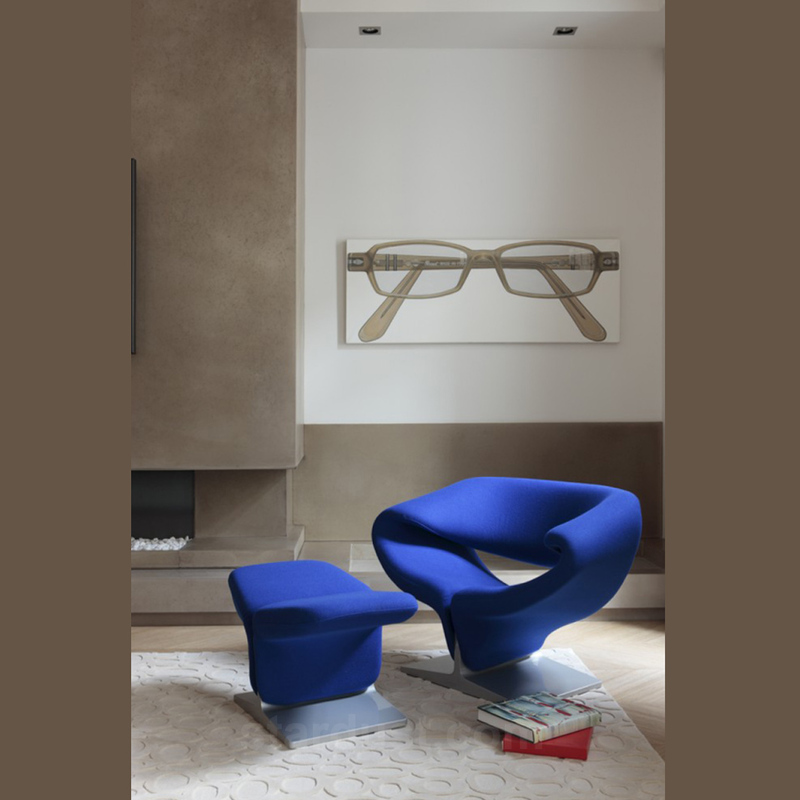 Pierre Paulin's Ribbon chair is made from a metal frame with horizontal springs, covered with foam and stretch fabric and a lacquered pressed wood pedestal. An optional Ribbon ottoman is sold separately.